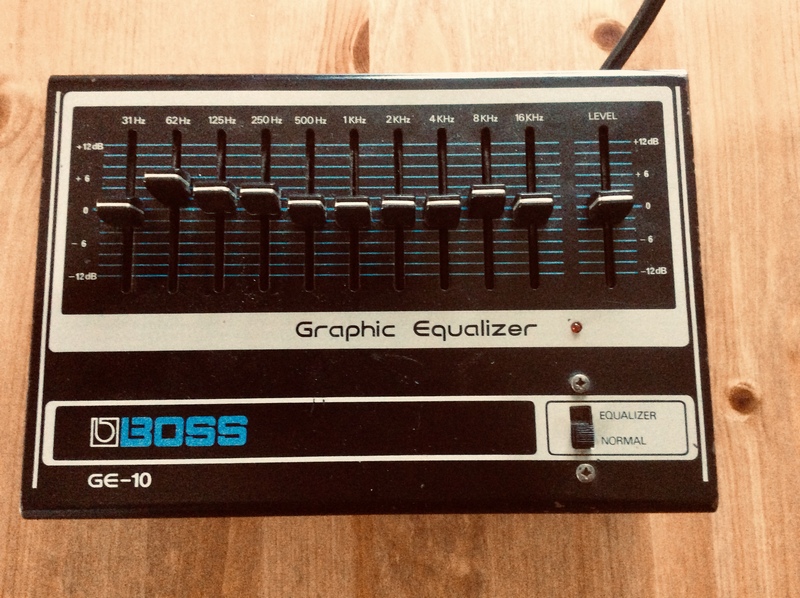 GE-10 Graphic Equalizer, Graphic equalizer pedal from Boss in the Micro Rack series. 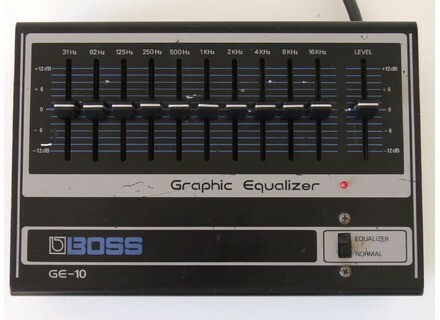 The Boss GE-10 is a ten band equalizer in the form of a non rackable stomp box. It is a graphic EQ as each band is set at a certain frequency that pertains to electric guitar. It has a power chord attached to it which is pretty convenient and the pedal has 1/4 inch connections. 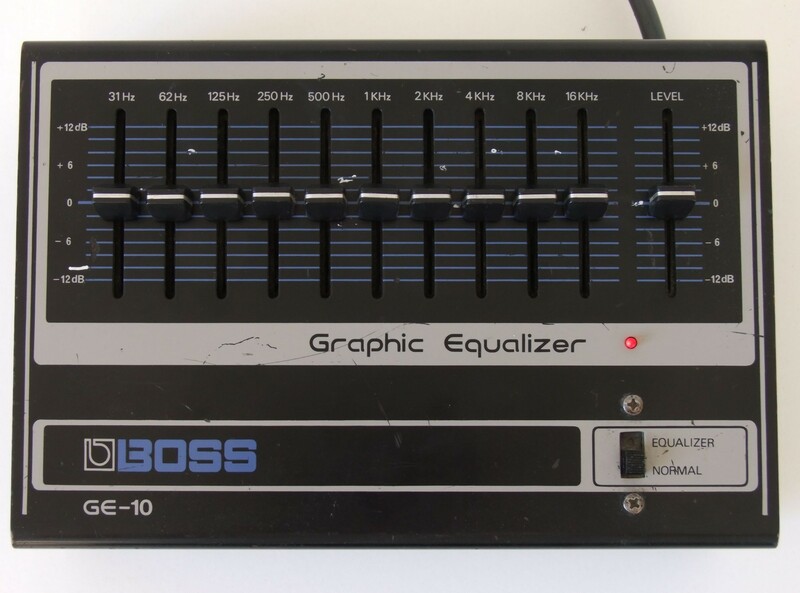 Using the Boss GE-10 is really easy as the only things you have to control are the ten bands of EQ and a master volume slider. Even if you don't have any experience with EQs, the pedal is really self explanatory and you shouldn't have too much trouble figuring out what to do. The only tricky part is deciding which bands to boost and cut in order to get the best possible sound. Beyond this there isn't much to the Boss GE-10 and because of this you don't really need a manual. The Boss GE-10 will definitely get the job done and then some. Having ten bands is huge as it allows you to zero in on the sound that you are going for and can provide you with a lot of different options. You can use the pedal as a boost if you want or you can use it as a filter effect, but I would imagine that most of us out there would use it to beef up our tones and get the most out of your sound. 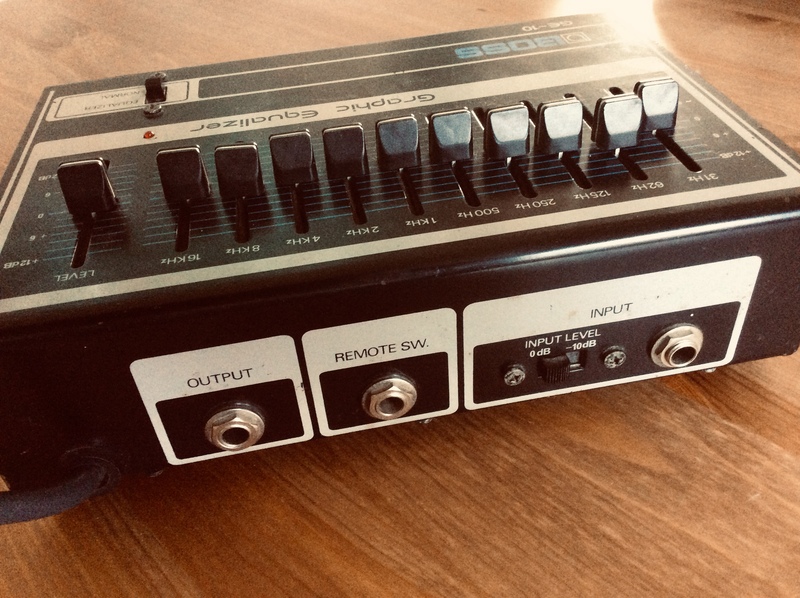 The pedal as a whole is pretty clean sounding but since this is somewhat of an older pedal there can be some noise sometimes. I generally really like the sound of this pedal and it is definitely a useful tool for guitar players out there. 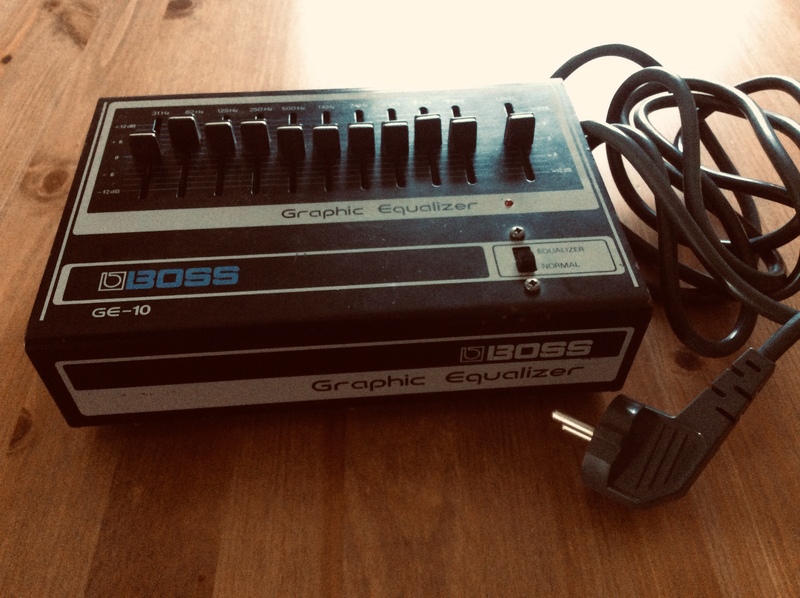 I've been using the Boss GE-10 for live shows for about two years and I can say that I would definitely recommend this pedal to guitar players for the same use as it can really help your tone out in a variety of different ways. Since they no longer make this pedal it is somewhat hard to find, but isn't all that expensive if you can find one. I like this pedal better than most of the other pedal EQs out there and is perfect for live shows. Overall, I trust Boss to make great pedals and this is definitley one of them.